The ACCO Brands flash report system comprises a one-page report on an incident or near-miss that is designed to get safety information out quickly. The reports cover the type of incident, root causes and findings, with employee names redacted. 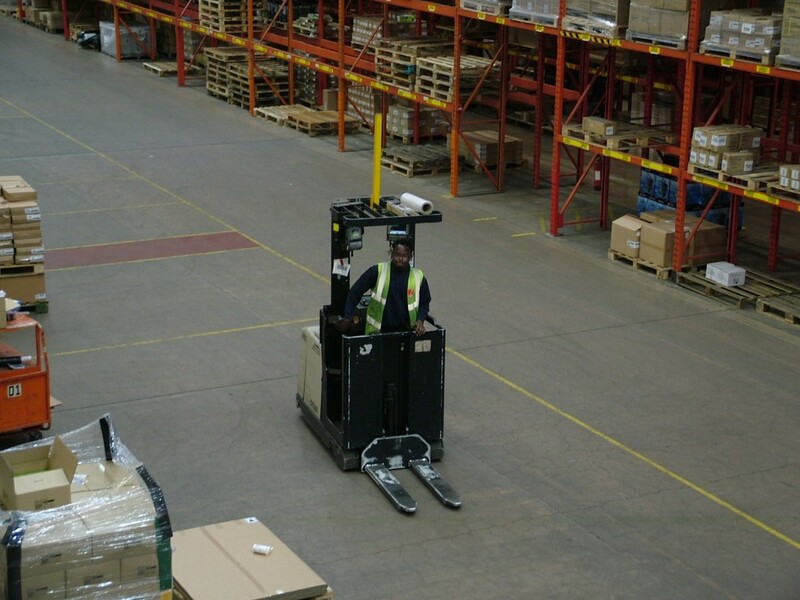 One recent incident that had immediate far-reaching impact on the organisation was a forklift-related incident at an ACCO Brands facility in the USA. OSHA (the US equivalent of the HSE) investigated the incident and was satisfied with the robust systems ACCO had in place. That said, ACCO Brands took immediate action to boost warehouse safety globally. Blue Spot is a warning system on the forklift that shines a light on the floor warning pedestrians of approaching forklifts. ACCO Brands has tried to segregate pedestrians and forklifts, but it’s not always possible. They use barriers where they can and train staff to make sure people stay within designated walkways. In the past, ACCO Brands tended to buy material handling equipment, which meant the trucks could run for a very long time. While this offers significant benefits, it has downsides. ACCO Brands has responded to this in two ways. 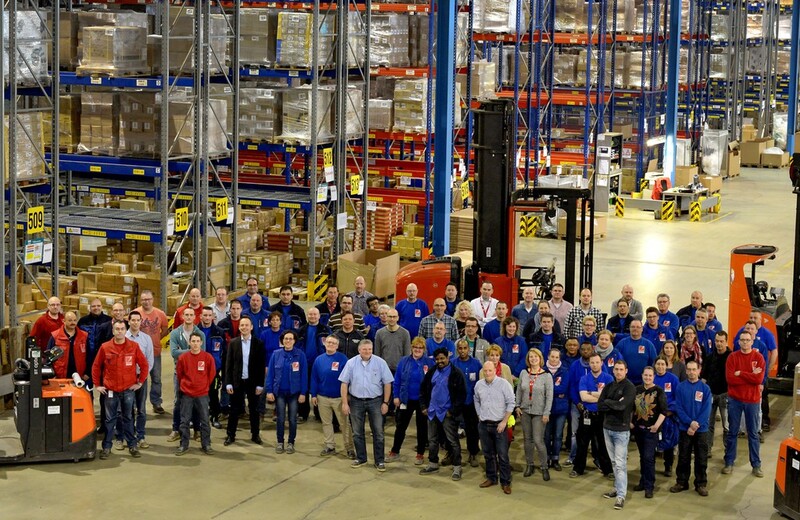 It has turned to SEMA (The Storage Equipment Manufacturers Association) for best practice guidance on managing rack repairs and it further upgraded its forklift fleet to a wire guidance system. The average tenure for staff at Halesowen is 20-25 years. The company’s safety initiatives are part of a concerted drive on safety, backed from the boardroom. The ACCO Brands global chairman takes an active and vocal lead on safety by personally attending every lost-time accident review meeting. One of the key company-wide programmes is “See Something, Say Something,” which was rolled out in 2012. All company drivers are required to carry out pre-operations checks of their vehicles. Culturally, that was difficult to get started. “It’s not just about the technical checks,” says Lee. “It is also getting the person to think about safety before they get in the truck. “One of the key things is employee involvement, so we will talk to people as we carry out audits,” explains Lee. “Some of the questions relate to how often staff raise safety concerns. Initially, when we started doing this, we didn't really get answers. "I can honestly say we’ve gotten more as time has gone by because we've dealt with feedback in a relaxed atmosphere. We’ve been able to say to managers ‘you need to encourage this a little bit more'. ACCO Brands also emphasises collaboration throughout the group. 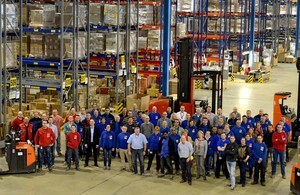 The company gets teams together in North America and in Europe to educate staff around its Comprehensive Environmental and Safety Management Plan (CESMP). The company also uses staff from sites to help audit other sites. For example, the safety coordinator in one facility may help audit another facility and that facility manager will then return the favour. Safety is an ongoing project at ACCO Brands, with the leadership team always on the lookout for improvements. ACCO Brands demonstrates the benefits a dedicated team can provide, particularly when driven by active board member involvement, coupled with encouraging all staff to voice their health and safety concerns. Lee King is a former fire service employee, so fire safety is an issue that is particularly close to his heart. 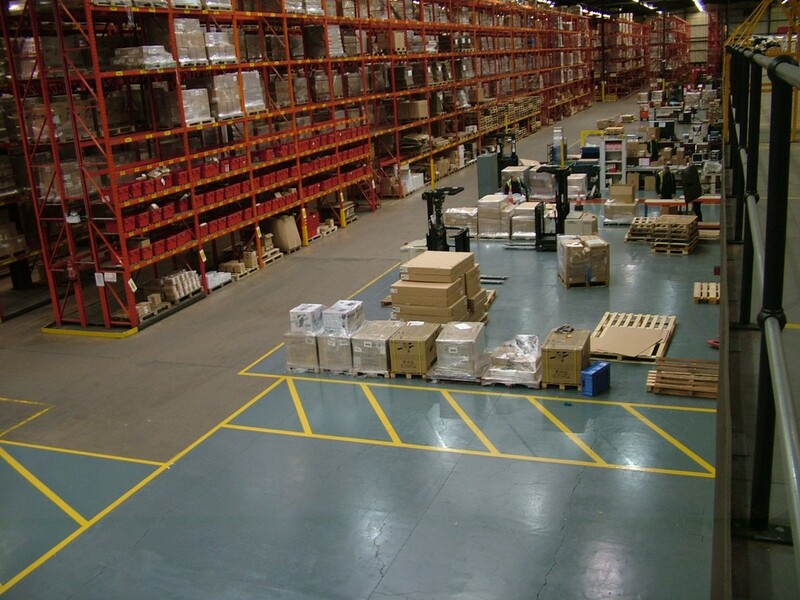 As a result of a warehouse revamp, the company is looking closely at the property and its services. This has perhaps taken on a particular significance since the sad event at Grenfell Tower in West London. The Halesowen DC has sprinkler systems installed, both drench sprinklers and an in-rack system. Halesowen is a disaster recovery site, focused mainly on IT systems. “We have challenges, so we haven't got sprinklers in every location, but in general, we encourage it,” commented Lee. He believes sprinklers should be mandatory for any new build. “The company has business continuity plans. We're looking at this moment in time to change some of the sprinkler heads because our tanks are not as big as recommended by FM Global. "We've worked with them and they've come up with a solution, so were waiting for suppliers to come in. It will reduce our fire loading for the building. The activation will get us past the need for a bigger tank."